California experienced a severe drought for several years which finally broke in the winter of 2017 when torrents of rain fell from the sky and turned California the most vivid shade of green we had seen in years. The wildflowers seeds had been waiting latent in the desert floor for several years, multiplying with each year of the drought. When the heavy rains finally arrived, the deserts erupted in a natural phenomena known as the "Super Bloom". 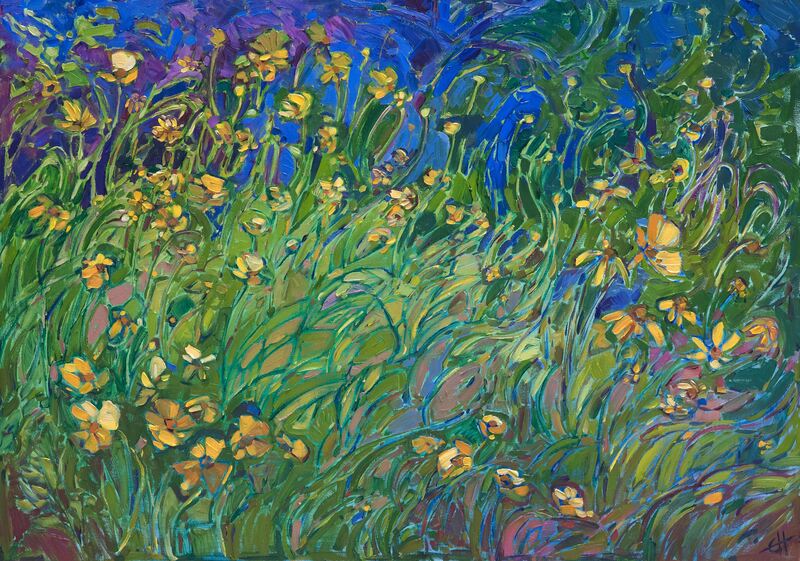 Almost overnight the California desert and hills started turning orange, yellow and purple with a Super Bloom of flowers far more abundant than the typical spring bloom. So vibrant and widespread, it was even visible from space. As soon as the flowers sprang from the soil, flocks of visitors from around the world decended upon Borrego Springs, Antelope Valley, and other Super Bloom hotspots, anxious to see the bloom before the buds wilted away and summer rolled in. California poppies enveloped Antelope Valley, purple and yellow wildflowers speckled the floor of Anza-Borrego, and Parish's poppy and lupine covered Joshua Tree National Park. The phenomena was most popular amongst the Southern California desert landscapes, but yellow and purple hues even rolled through the likes of the Carrizo Plain National Monument and excessive color was also found as far as Texas and Washington State. 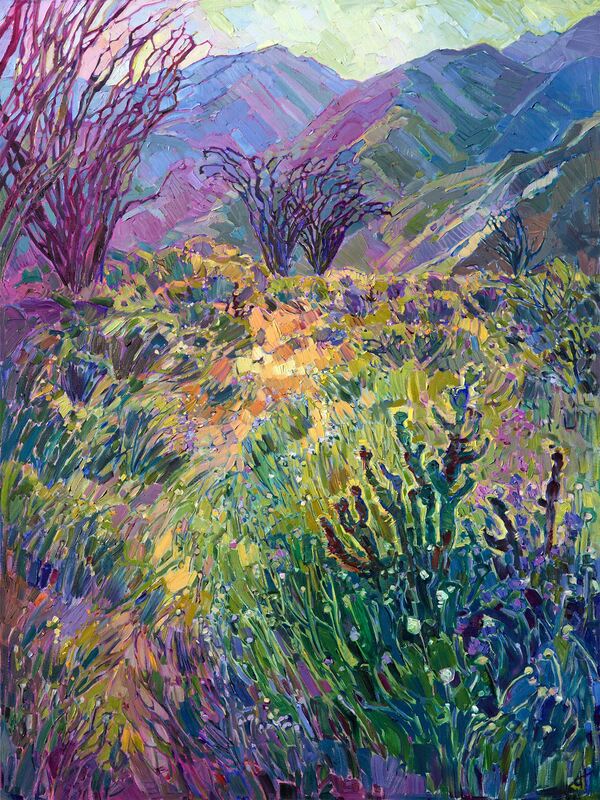 Erin Hanson went out to experience this phenomenon for herself, visiting the Borrego Springs desert and exploring as far as Arizona and Texas to capture the transient florals. 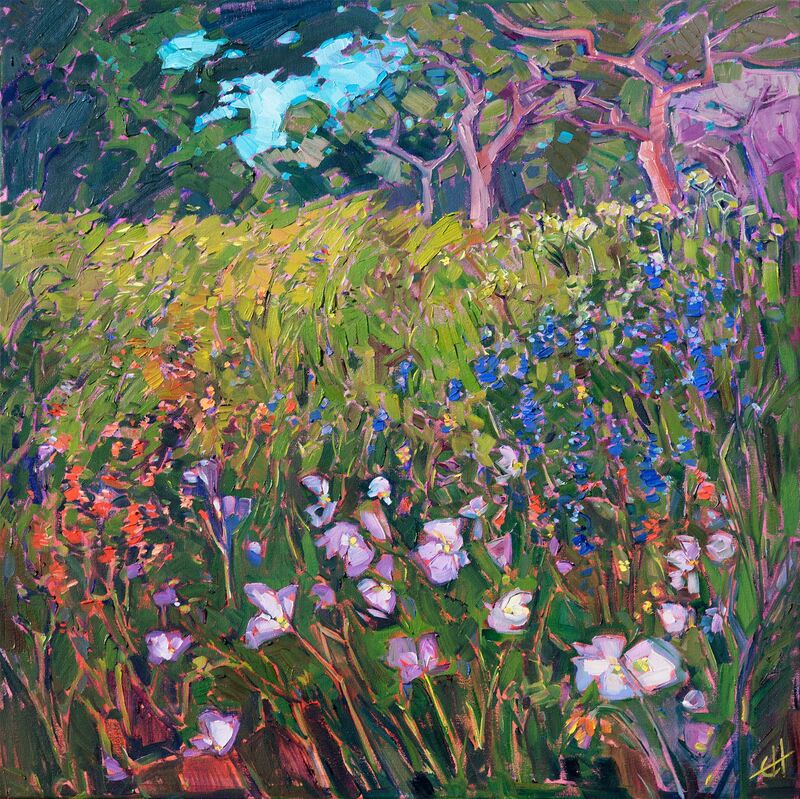 Inspired by her explorations, Erin started a series of wildflower paintings that became known as "The Super Bloom Show." 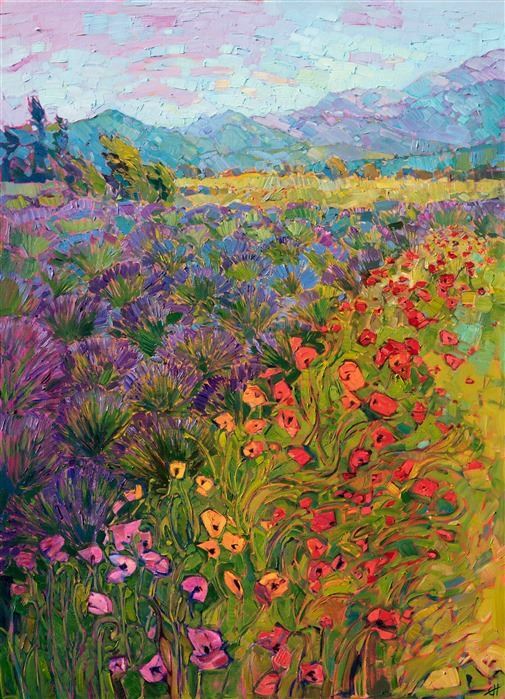 The final collection of 15 paintings was revealed at The Erin Hanson Gallery's artist reception in September 2017.